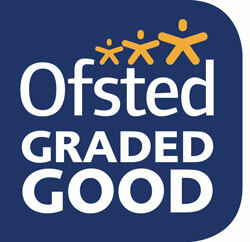 A school judged to be good at its last inspection normally receives a one-day short inspection approximately every three years. Hollingworth Primary School was inspected on 16th January 2018 by Aelwyn Pugh, HMI, and received a rating of ‘good’. The Inspector praised the enthusiastic leadership and recognised that staff morale was high. He acknowledged that governors provide a balance of challenge and support through their regular visits to school. He noted that parents have a high opinion of the school and that they complimented the dedication of the staff. Pupils told the Inspector that they enjoy coming to school and he praised the way pupils are able to present their ideas very coherently.